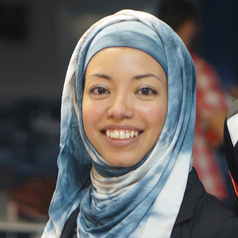 Nasya Bahfen is a senior lecturer in the Department of Media and Communication at La Trobe University. She has taught at Monash University, UNSW, and RMIT and was previously a a radio and online journalist and producer for ABC Radio Australia and SBS. Her freelance writing and commentary includes feature articles and opinion pieces for the Age, Daily Life, the Far Eastern Economic review, and the Brunei Times; and hour-long radio documentaries for ABC Radio National and ABC Grandstand Digital. Nasya has postgraduate qualifications (PhD) in the sociology of the media, and extensive media and communications teaching and research experience. She has a first class honours degree in media from LaTrobe University and an undergraduate degree in journalism from RMIT. Nasya's doctoral dissertation and research activity reflects the theme of internationalisation and diversity in the media and online, including the media of southeast Asian (Indonesia, Malaysia and Singapore) and Australia. Nasya teaches subjects in the coursework Master of Journalism and supervises higher degree by research students.